The Pixel 3 and Pixel 3 XL share similar DNA to the Pixel 2 and Pixel 2 XL from last year but with a few changes. Both devices are powered by the Qualcomm Snapdragon 845 processor with 4GB of RAM. The Pixel 3 has a 5.5-inch Full HD AMOLED display while the Pixel 3 XL has a 6.3-inch OLED display with a notch. Both phones are running Android 9 Pie. In terms of cameras, the Pixel 3 has a 12.2-megapixel camera on the back and an 8.1-megapixel front-facing camera. The Pixel 3 XL meanwhile has the same rear-facing camera as the smaller phone but has dual 8.1-megapixel cameras on the front with one standard and one wide-angle lens. The wide-angle lens is used for better Group Selfies without needing a selfie stick. There’s also OIS (Optical Image Stabilization) and EIS (Electronic Image Stabilization). 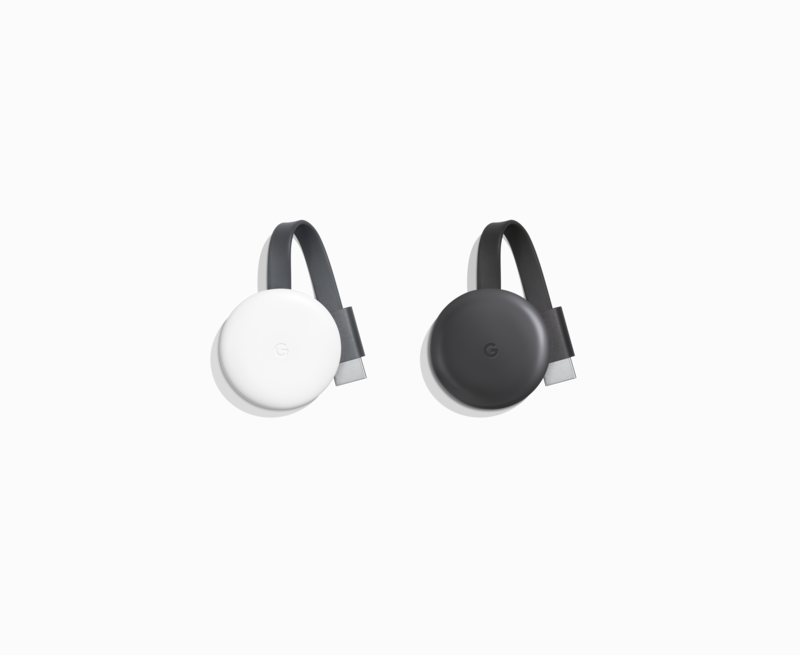 The Pixel 3 and Pixel 3 XL comes with an 18W fast charger, USB-C earbuds, and USB-C to 3.5mm adapter in the box. The Pixel 3 has a 2,915mAh battery and the Pixel 3 XL has a 3,430 mAh battery. Both phones retain front-facing stereo speakers, USB-C, Pixel Imprint and Active Edge (i.e squeezable sides to activate the Google Assistant). Google has added wireless charging support to both devices. The Pixel 3 and Pixel 3 XL is available for pre-order now in Just Black, Clearly White and Not Pink. 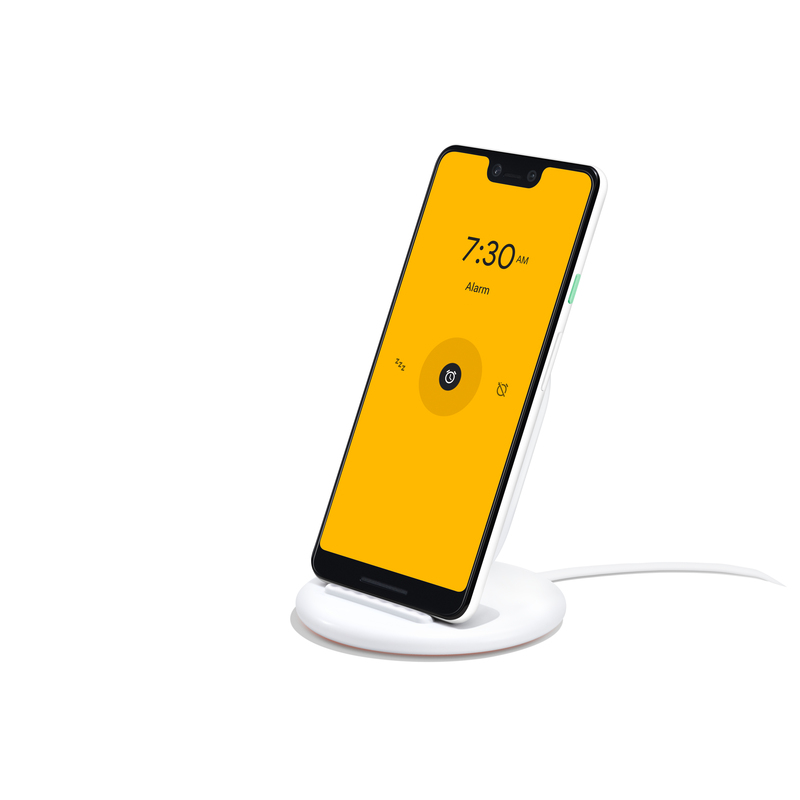 Since the Pixel 3 and Pixel 3 XL have wireless charging, Google is introducing the Pixel Stand. It’s essentially are a wireless charger that places your phones in an upright position. It also uses USB-C and fast wireless charging. The Pixel Stand allows quick access to the Google Assitant either via your voice or shortcuts on the screen. It will also show you something called the Sunrise Alarm which eases you awake by slowly making the screen brighter. The Pixel Stand costs $109 CAD ($79 USD) and is available for pre-order now. Google has also introduced their own Smart Display called Home Hub. The design takes cues from the Home Mini and Home Max with a fabric exterior (at least on the stand part). The speakers on the Home Hub were designed for crystal clear sound. The screen on the Home Hub is 8-inches. The Home Hub comes in four colours, Charcoal, Aqua, Sand and Chalk. The Google Home Hub will be available in the US, UK and Australia on October 22nd for $149 USD. No word on if the Home Hub will be coming to Canada. 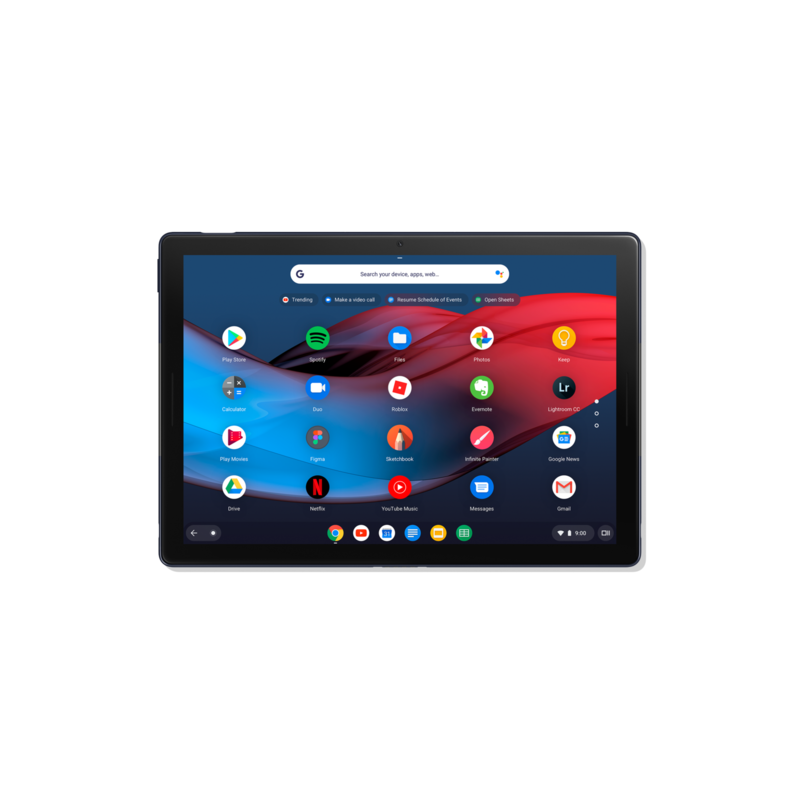 The Google Pixel Slate is the company’s first Chrome OS tablet. It is just 7mm thin and weighs 1.6lbs. The Pixel Slate can be used in a traditional laptop style or detached in tablet mode (similar to the Surface Pro). The screen is a 12.3-inch Molecular LCD display with a resolution of 3000×2000. It’s powered b the latest 8th Gen Intel processors with up to 16GB of RAM. The Pixel Slate has an 8-megapixel camera on the front and back of the tablet portion. 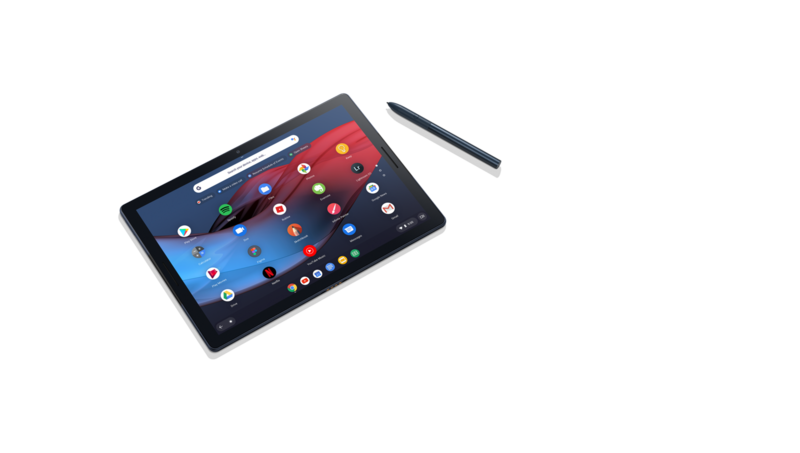 The Pixel Slate is running Chrome OS 70 which Google has designed for tablet and touch interfaces. There are two USB-C ports, 802.11ac Wi-Fi, Bluetooth 4.2 and a 48 WHr battery that lasts up to 12 hours. 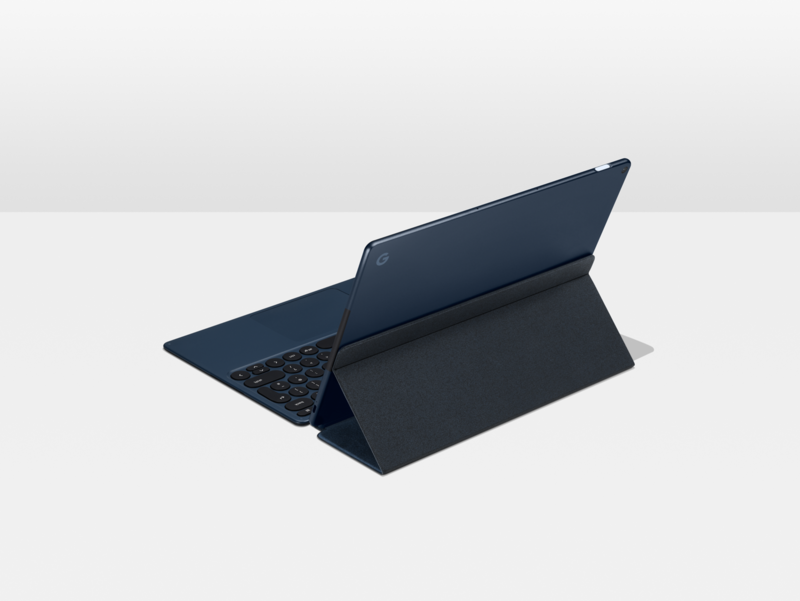 The Pixel Slate starts at $849 CAD, the Pixel Slate Keyboard costs an additional $259 CAD and the Pixelbook Pen which is compatible with the Pixel Slate costs $129 CAD. The Pixelbook Pen comes Silver and new Midnight Blue to match the Pixel Slate. The Pixel Slate can be optioned with an Intel Core m3, Core i5 or Core i7 and up to 16GB of RAM. It’ll be available later this year. Google has also introduced the 3rd generation version of its Chromecast. The device has a more matte look with the G Google logo. It also packs in Bluetooth and improved Wi-Fi. The new Chromecast supports 1080p video and 2.4 & 5GHz Wi-Fi. The new Chromecast will cost the same as the previous version at $45 CAD ($35 USD) and comes in two colours, Charcoal and Chalk.